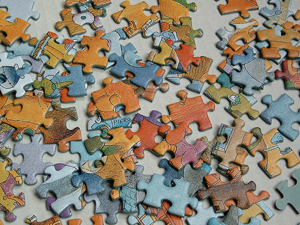 One of the nagging riddles of Modern Portfolio Theory is the so-called “Equity Premium Puzzle.” Of course, with the ascendancy of behavioral finance, we have a better understanding of the irrationality of investors. Modern Portfolio Theory relies on the assumption of the rationality of markets. Perhaps the Equity Premium Puzzle isn’t a puzzle at all. Perhaps it’s a victim of false assumptions. The researchers conducted two large surveys of people between the ages 50 and 75. One of their more significant findings concluded employees are more likely to select an annuity option when a “partial” option is offered instead of an “all or nothing” option. Given the “all or nothing” choice, participants chose the lump sum 50% of the time. With the “partial choice,” participants picked annuities 80% of the time. Of course, given the partial choice, participants will only choose full annuitization 21% of the time (as opposed to 50% of the time when given the “all or nothing” option). The paper goes on to discuss the impact of framing, inflation and payout options and how those can be structured to increase (or decrease) the likelihood someone would choose to purchase an annuity. The researchers caution not to take too much from the results… yet. They warned against assuming too much as the research focused on “hypothetical” questions. The authors said further field studies would be the logical next step. “It would be nice to study instances where employers change a feature of the way they offer annuities in their plans, and see how employee choices change subsequently,” says Choi. And that’s why we expect further research to enlighten us even more. Interested in learning more about hot to create a better 401k plan and other important topics confronting 401k fiduciaries? Explore Mr. Carosa’s book 401(k) Fiduciary Solutions and discover how to solve those hidden traps that often pop up in 401k plans. There was an annuity puzzle when the assumptions were very strict (e.g. no desire for bequest, fixed expenses). But as researchers have relaxed these constraints, the annuity puzzle appears to not be one at all. So while I appreciate the benefits of annuities and will probably utilize them myself when I get older, I was squirming as I read this article.